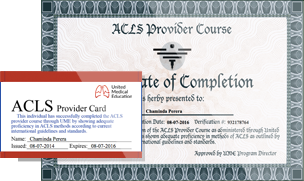 Easily complete your online ACLS certification training in under 60 minutes. 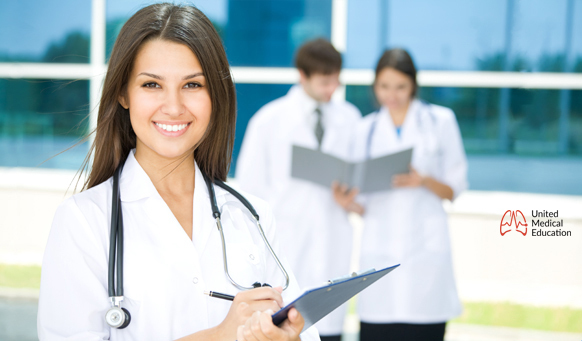 Here at United Medical Education our courses contain everything you need to successfully pass your exam and receive your provider card instantly with no hidden fees. 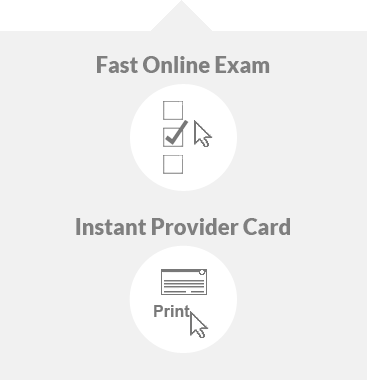 You will receive a free instant digital provider card immediately upon passing your exam. Now you can obtain your provider card any time day or night. We have designed our courses to be completed 100% in the comfort of your own home or office. After registration you will receive access to a comprehensive list of free training materials that will teach you everything you need to know to successfully pass the certification exam. After successful exam completion you will receive an instant digital provider card for free. You will also receive a hard copy provider card by mail with free standard shipping. Every purchase includes access to our comprehensive student training materials. Our online ACLS, BLS, and PALS certification classes have been created by a team of instructors and adhere the most recent published guidelines of the American Heart Association (AHA). Our ACLS courses have been accredited by the Postgraduate Institute for Medicine (PIM) being certified for AMA PRA Category 1 Credit™ and ANCC credit hours. You can have your provider card in your hands in under an hour at any time 24/7. Through our automated teaching, testing, and provider card delivery system you have complete control and access to your courses whenever you want. With registration you will have immediate access to both the training materials and the online exam. Every student with successful exam completion will receive an instant digital provider card without paying an additional fee. The digital provider cards can then easily be printer or emailed to your employer or school. You will have unlimited access to your account and provider cards through your user login. Your hard copy provider card will also be sent by mail soon after you complete your course. Here at United Medical Education there are no time constraint on our students. You will not be pressured to complete your course within any time frame. You are welcome to spend as much time as you want studying the course materials and practice exams before taking the final exam. There is no expiration to your courses giving you an unlimited amount of time to prepare. If you need both PALS and BLS certification online and purchase both courses, you can receive both provider cards by taking a single PALS exam, saving you even more time. Now our students can approach their final exam with confidence. We have created pretests in our classes that help students prepare for the final exam. These practice tests focus on the same relevant information covered in the final exam. The practice test answers permit the students to build their knowledge and understanding of the training materials. Our courses are completed 100% online. To obtain your ACLS certification online you will not be required to schedule a live skills check with an instructor. This allows you to complete your class entirely online immediately upon registration. We understand how stressful it can be when approaching a final exam. That is why we have done everything possible to improve your chance of success within our exams. There are no time limits to our final exams allowing you as much time as you need to think about each question and possible response. There is no reason to worry about failing the exams either. You will be given unlimited retake opportunities for your final exams. We do not keep a record of failed exams. We only keep a record of your passing examinations. 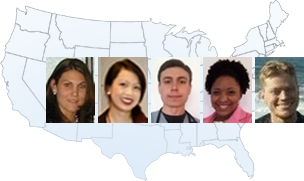 Our classes have received the highest praise from healthcare professionals across the globe. We regularly receive complements regarding the training materials and course format from our students. Our testimonials page is just a few examples of what real students had to say about their personal experience with our courses. Here at United Medical Education we strive to meet all of our students needs. As a result we offer a full refund to students who are ultimately not satisfied with our courses during our risk free trial period. After exam completion you will receive an instant digital provider card for free and then a hard copy provider card will be mailed to your home or office the following business day. Standard shipping within the USA is free for all of our students. Expedited shipping and international shipping options are also available for our students. This is just another example of how we strive to meet the individual needs of each of our students.